Canara HSBC Life Insurance is a life insurance company established in the year 2008. The company has an extensive presence all over the country, and it provides service by partnering with various top banks in the country. Among the various plans offered by Canara HSBC, term plans provide pure insurance coverage and they are the cheapest in the lineup. Customers can opt for high-value term insurance coverage and protect the financial security of their loved ones. Before signing up for a term insurance cover, customers can check the price of the product using the premium calculator available on the company’s website. Why premium calculators are essential? There are different ways in which customers compare the life insurance policies available in the market. The most important thing one must check are the benefits offered by a policy. Price is another major thing that most people check when buying a new life insurance policy. Term insurance plans are suitable for everyone as they can choose the sum assured amount based on their affordability. Premium calculators help customers understand the cost of these plans for a specific sum assured amount. Customers can try out different options and find the coverage amount they can get within their budget. After knowing this, it will be easier for them to contact the company with their desired sum assured amount. On the homepage, move the mouse pointer to ‘buy online’ on the menu bar and click on ‘online term plan’. Once you click on it, a new premium calculator page will open for the chosen term plan. On the premium calculator page, enter your personal details like name, gender, date of birth, email ID, phone number, smoking habits, sum assured amount, policy term, premium payment frequency, etc. Upon entering all these details, you can get a personalised price quote from the insurer for the chosen policy. On the homepage, you can see a section named ‘find out how much life insurance you need’. Here, you can enter your details like age, annual income, and existing insurance coverage. Based on these factors, the calculator will estimate how much term insurance coverage you need to protect your family’s financial requirements. Customers can save a lot of time when they use premium calculators during their research process. Rather than visiting the branch office of the insurer or applying for a cover, customers can know the price of a product simply by entering a few personal details. Premium calculators come in handy when customers are comparing multiple products available in the market. By knowing the prices of various products, customers can narrow down their choices and choose the best one that meets their specific requirements. Customers can try out different options using these calculators and determine the sum assured amount that fits within their budget. Premium calculators serve as a great marketing tool for companies. They are designed in such a way that customers receive personalised price quotes for a chosen product. This helps companies reach out to a wide customer base all over the country. The information collected from interested customers can be used to reach out to them. Customers can improve their product knowledge about term insurance plans with the help of premium calculators. They can understand the factors that influence the price of a product and decide accordingly. 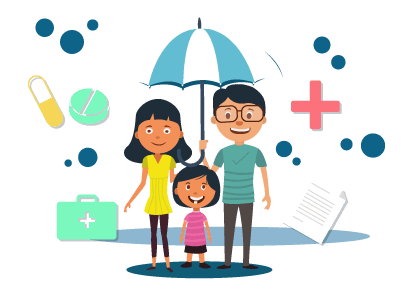 Term insurance covers are mainly used to protect the dependents of policyholders from unexpected financial insecurities caused by the loss of the family’s primary earner. The term plans offered by Canara HSBC provide high-value coverage for customers at an affordable price. The premium calculator offered by the insurer is simple to use and guides customers on how much they have to spend on their desired level of coverage. Most importantly, it serves as an effective tool in the decision-making process while buying a new term insurance policy.